Memorial Day Special. Save $10 off the Purchase of $30 or More. 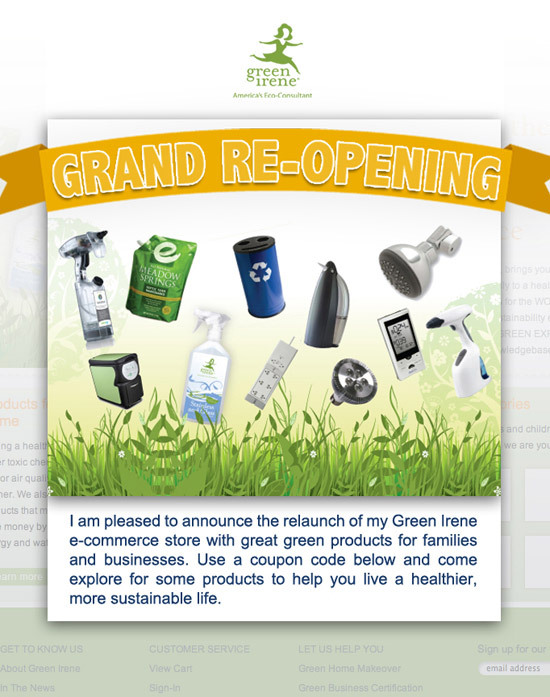 To receive $10 off the purchase of $30 or more, please go to www.GreenIrene.com/hollis and use this coupon code OURFRIENDS10 when you check out. This coupon expires Tuesday May 31 at 9:59p.m. so don’t wait. Remember, I give a free Green Home Makeover to all of my real estate buyers and sellers. If you know of anyone who is considering buying or selling a home, (friends, neighbors, adult children, co-workers, apartment dwellers, people in you service clubs etc.) please refer them to me. It is a great time for first time home buyers. Interest rates are low and there are many homes to choose from.